Grab the tissues, because this one’s going to be a tearjerker. When Eloise Manfield’s husband passed away suddenly just before his 36th birthday, she didn’t know how to go on living life without him. Luckily, she was able to turn to her community at church, who helped her begin to put the pieces back together after such a devastating loss. 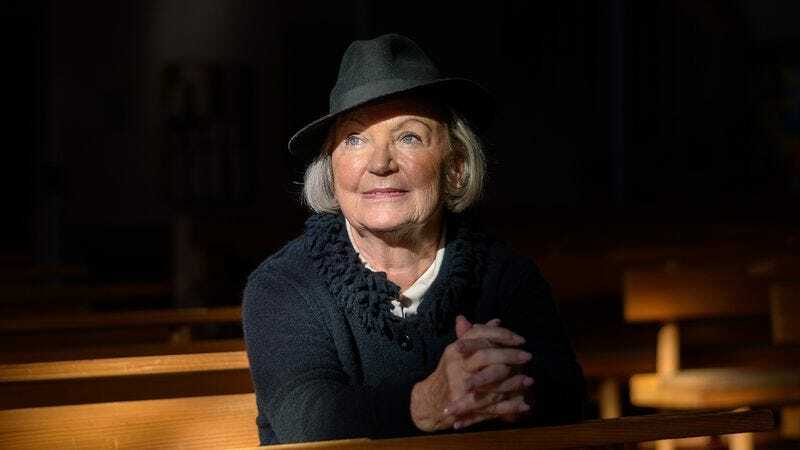 Most stories would just end there, but that’s when Eloise’s church did something really special: They came together and decided to name God after her recently deceased husband. Wow. Could there be a more beautiful tribute? Though no one could ever replace Eloise’s beloved life partner, her church definitely found the next best thing: officially naming the almighty creator “Rick” in his honor, including crossing out every mention of “Lord,” “God,” or “Christ” in all of the pew Bibles and writing in “Rick.” Now, whenever she goes to Sunday Mass or sits in confession, Eloise will be able to rest happy knowing that the memory of her husband lives on as the name of God himself. Simply inspirational. This church definitely shows the power of communities to lend a hand to those who need it most. In Rick we trust! Amen!